Serek Basses has a unique way of blending old school and new school to create a fresh looking bass that remains rooted in the instrument’s history. Hand-built in Chicago, a Serek bass is a true player's instrument. With rock solid construction and only the best quality components, Serek instruments stand in a class all of their own. 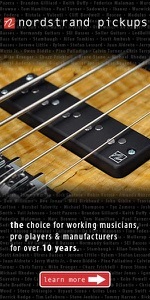 Please contact us to pre-order any of the above basses or place a custom order.